EUROPEAN headquartered integrated resource group, Tharisa, has pledged to provide $8 million debt facility to Karo Platinum for initial geological and sampling work at the $4,2 billion platinum project along the Great Dyke. Locally, Tharisa also has 90 percent stake in Salene Chrome, the holder of special grants over an estimated 9 500 hectares of highly prospective alluvial chrome properties in Shurugwi. 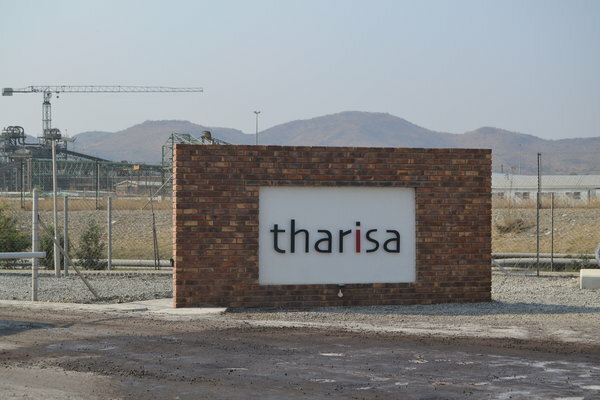 In South Africa, the European headquartered mining group operates Tharisa Minerals and chrome co-producer located on the Bushveld Complex. In a statement, Tharisa said it has also acquired a 26,8 percent shareholding in the Cyprus-based Karo Mining Holdings (Karo Holdings), which was investing $4,2 billion on the platinum project. The transaction gives Tharisa access to a tier one Platinum Group of Metals (PGM) and base metal resource at the Great Dyke for a total cash consideration of $4,5 million. "Tharisa has agreed to provide $8 million debt facility to Karo Platinum for the initial geological exploration and sampling work to determine a compliant mineral resource. Tharisa will manage the exploration and oversee the subsequent bankable feasibility study," it said. The group said the remaining 50 percent shareholding in Karo Platinum would be held by an investment company wholly owned by the Government of Zimbabwe. Through its shareholding in Karo Holdings, Tharisa has an option to participate in the other downstream projects through discounted farm-in arrangements at a later stage. "The acquisition presents an attractive opportunity to expand Tharisa's PGM mining interests into Zimbabwe. It provides Tharisa with a low cost, low risk entry into a new geography and to access development projects that will offer the group the chance to replicate the success achieved at Tharisa Minerals." The Great Dyke contains the world's largest known PGM deposits outside of South Africa. Karo Holdings and the Government early this year entered into an investment agreement under the terms of which the platinum miner has undertaken to establish an integrated mining and refining complex that could generate up to 15 000 direct jobs across the value chain.